This week, let’s delve into the advantages of creating video promotions for a channel. 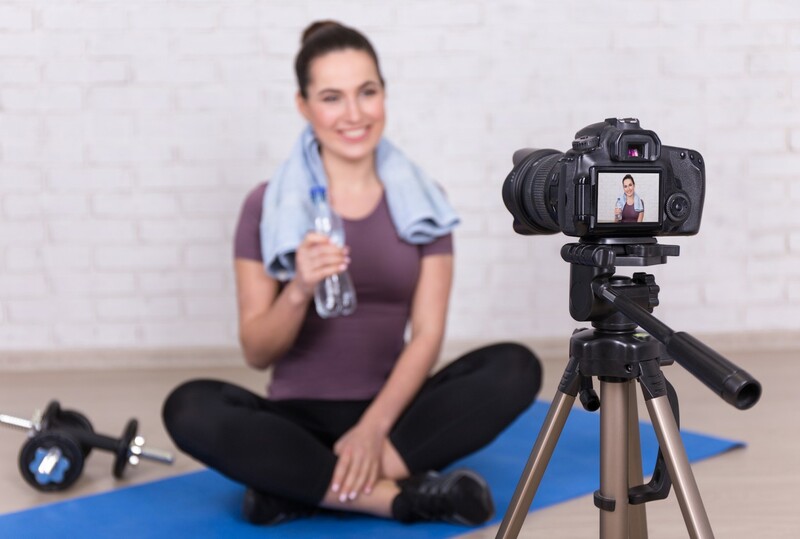 Whether it’s video trailers for books, short promos for a business, or video marketing for an online course, videos can be a great canvas for expressing ideas visually. Good ones will interest new readers and great ones might prompt a click to a sales page. Share a personal tip with your LinkedIn or Facebook connections. Rough and raw is OK, but it’s better if there are key words as captions — since many watch with the sound off. Promote your book with several Text-over-Stock-photo videos – Lumen5 makes this super-easy and can even create the draft video straight from a blog post! Use reviews from your clients and ensure you highlight any 4 and 5-star reviews on it (See ibuildsocial for that service). Use a videographer and highlight how your work with people makes a big difference. This can be used in social media ads (e.g. Instagram ads) and on your website. What Kinds of Videos do I Learn From? While animations and novelty videos are popular, it’s better to represent my personal brand in a way that people learn something. It’s good to see natural faces, with clear ideas, for that. When I was interested in author marketing, I went to find authors who are doing valuable video education. 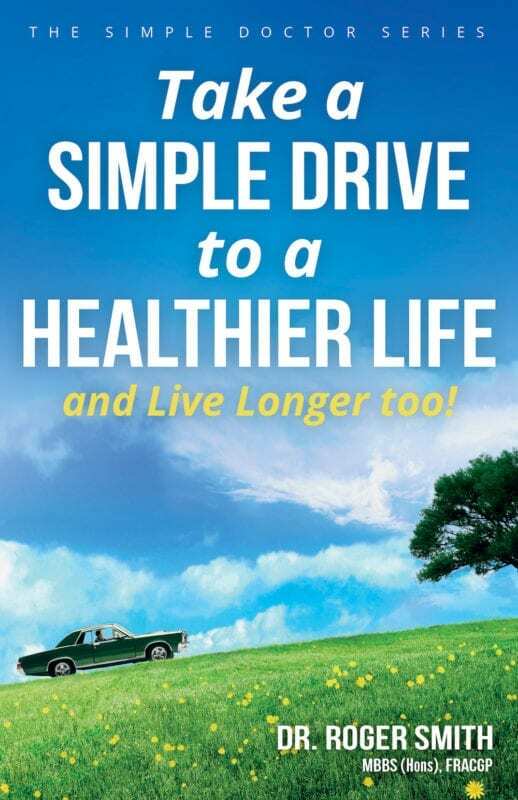 The winner was the author of “Platform”, Michael Hyatt, who has 22,400 Youtube channel subscribers. Coming a close second, via blogging and videos about writing, was Joanna Penn. It’s nice to see successful authors sharing what they’ve learnt, isn’t it? When you’re thinking of making a video promotion for your business, it’s better to think from the audience side. So you want to consider what’s of interest to them at the awareness stage… What types of things (that you know about) do many of your customers search for? With your own video production, you’ll need to think about WHERE you will put the video. Better quality is needed for putting eternally on your website, the highest for television, and lesser quality for a Facebook post. Vimeo encourages higher resolution and shows only your video once embedded (in Vimeo Pro), while YouTube may show other videos at the end but is free and has a vaster general audience. A TV commercial costs between $5,000 and $110,000 to make, according to media producers, Lokomotion. Then comes the booking fee, which ranges wildly in price. So anything you make for online is going to be a fraction of that. For a long-term video to promote an established business with a lot to gain, you could budget $2,000 for production and editing costs. But for just getting short promo videos out there on social networks, you can use free-ranging shots (via your phone camera or good webcam) and a tool like Wistia, if you don’t have a video specialist to put it together for you. (Full Wistia is about $136 per month, or do 3 Wistia-branded vids a month, free). This is perfect for sharing 1-minute videos to your LinkedIn network. Wistia Learn is a good avenue for learning more about video making. Wistia also have a tool called Soapbox, which lets you take boring Slide Presentations and put yourself (on your web cam) right alongside them. It’s almost like having you there, making a sales presentation. (For create + share online, it’s free, or for promos; Solo plan is $300 a year). The format – 16:9 or 4:3 or 1:1? We think Wikipedia answers this the best, and 16:9 seems to be the most popular format for television and computer screens these days. Square or 1:1 is good for Facebook and Instagram (regular). Short on ideas? You can also use a tool like Dreamstime to search for video stock photography, and it costs about 15 credits per video item. Today I’ll talk about taking a website that’s a branding eyesore or a postcard, in short a dud, to being: a Lead-Generating Machine! That’s leads, as in prospects… not lead as in metal. After many years of researching and working on website copy and content, I finally created a webinar with a live website case study (which I pick apart). What I look at in a website content review goes quite deep. First, it looks at logical reader progression – does the website copy flow normally and easily down the page? Are the important parts hidden away or are they nice and clear? We need to find out WHO you are talking to and what language to use. That’s how we choose the style of voice in the first place. But we also look at brand tone of voice – does it align with the brand personality, values and the company story. Or is it just plain dull. Next, we need to develop relevant content (pages or posts) to reach prospects where they already hang out. Research what they ask within keyword searches. You then have the technical SEO elements to think about. So, any duplicate content, duplicate tags, missing images, errors from lost links to pages, no descriptions, etc. Importantly, when consulting, I look at whether your marketing system (CRM) or sales people are capturing the leads and following up with them fast. And whether there is a website lead magnet offer, trial, etc and how visible that is. Then there is the email marketing system and the blog-to-social-media system to look at. Is that all taken care of? Is the blog limping along…? Can better headlines mean much better reader attraction? So, target market research and article marketing is also part of the picture. 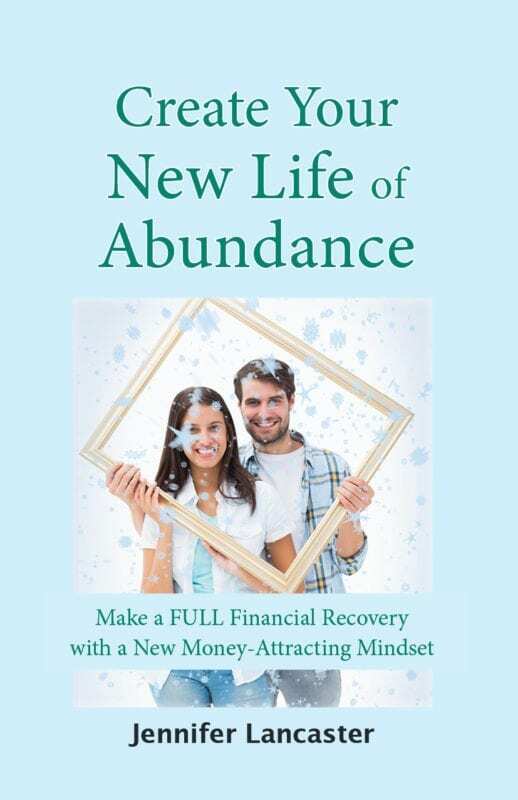 My oracle suggested that 110 Australians monthly want to know “How to Market a Business”. 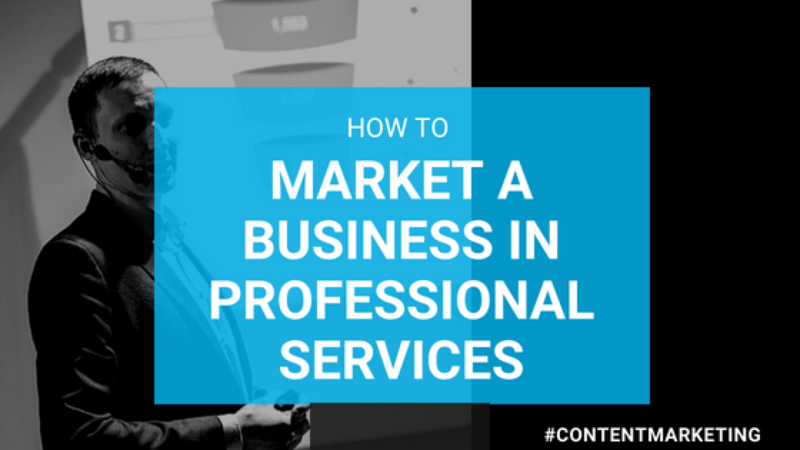 So I thought I’d outline the best ways to market a professional services business, because honestly it’s a lot different advice than for an online retail shop, a wholesaler, or a software product. A street presence, including vehicle signage, office signage, etc. For accountants, lawyers, architects, quantity surveyors and the like, marketing must seem like a mystery akin to a magic genie. But really, it’s not venturing into the mystical – you can use logic in marketing any business. a nice logo, sure, but it’s also great signage, professional appearance of staff, friendliness, signature touches (like you might just send a cheery Congratulations message whenever someone lodges their return), and a feeling one gets from interacting with the company or person. Clarifying what your brand stands for (not just services you do) and the level of service you provide. Also see my explanation for ‘purpose-driven statement’. When you pre-plan what your brand represents and clarify what you stand for, how to put that across in your marketing becomes less mystical. … and this activity can be paid or non-paid. For example, you know paid advertising is SEM, radio, print ads, bus signs, etc. While free marketing is writing some targeted blog articles, being a podcast guest and highlighting what you do, speaking in public about your methods, etc. So, say you talk at a Rotary club (retirees) about your latest software for compliance, you haven’t got the right PEOPLE or the right MESSAGE. But if you gave a keynote at a Data conference about your latest software – and the attendees were all looking for software for medium businesses with this need – bingo, you have the triangle. Many business people put the Media first. So they say, I want an Instagram strategy, or I want to know how to do Facebook for business. Instead, they (and you) should go back to your ideal client and brand positioning work and look for WHO it is you want to attract. So for myself, my ideal client A is a business director of a professional service with one to three brands, a few staff, and $200,000 – $2 million in revenue. (For those above that level, others who have big teams are pitching that level). This ideal client is confused about what to write on their website (they have something, it’s just not that great) and what to put in blogs and in videos. What they have is usually bland, standard, corporate and broad. The message is too generic and offers no insight into the personality of the leaders, the ethos of the business, and the specific value they bring (through an education framework if its blogging). They need guidance for that. The director level person is really busy and does not loiter on Facebook for long. Many of the lovely people I meet on Facebook are soloists and cannot afford my services. Rats tails. So, to reach this ideal client A, I have to know the media they use. It is likely LinkedIn and the telephone for business relationship-building. They might even listen to top podcasts on a weekend. Yes, the humble phone is often overlooked in marketing. Relationship building with the phone is a marketing tactic. Not pitching at this stage, just asking questions and noting the answers in a CRM and perhaps offering a free booklet or someone else’s seminar. So I know their media, but now I need to create the right message. Spying (sorry, I mean researching) on people’s questions and business forum posts is getting to the real. I want to know the nitty-gritty struggles and concerns of Directors, not the shiny posts they are publicly putting out to impress their peers on LinkedIn. (Questions are put into Google and collated in online research tools). After some research into their real struggles, I can put together CONVERSATIONAL copy for that ideal person to relate to. I might come up with some short video ads as well. What makes a Great Marketing Offer? As a professional services provider, once you start talking about your niche, your amazing methods and your creative ideas, it’s only a matter of ending the speech (or video or book) with a simple offer in order to capture the interest already aroused. This free content or free trial can be placed on a landing page/capture form for ease of use. The best offers in professional services really delve into their ‘ideal’ clients most wanted answers. They have problems, you have some answers, so you must, must talk about both. Speaking in conferences, keynotes, seminars, and podcasts can have a HUGE effect if you talk about both sides of the picture (the gritty side and the after, shiny side). A great marketing offer also has a clear customer value benefit and a deadline for taking action. Hinge Research Institute has done some research into high-growth professional services and found that having ‘visible experts’ talking about the business brings 66% more business development benefits, e.g. they generate more leads, demand 13x higher prices, and close more in sales. Makes you think, doesn’t it? Have you Learned ‘How to Market a Business’? Marketing a business in professional services is not a matter of posting to Facebook daily (a common tactic). It is getting really clear answers to your ideal clients’ struggles… defining your message and brand voice… and putting those messages into the right media channels. It is having a website portal where you educate prospective clients and offer them relevant and original FREE reports (or even video tutorials). So, begin thinking about what value-packed offer you could have at the end of the information download offered on your website. Get ’em while they’re amazed with your work! If you’ve enjoyed this article, then please sign up for our awesome report on building a prospect list – or just go straight to Park Lane (Monopoly metaphor) and book a 30-minute discovery call with Jennifer. When you have an integrated marketing strategy, you can drive your online marketing program with confidence. That means planning on paper, including mapping out a purpose statement, value statements, customer personas (or segmenting), calculating customer lifetime value, and defining ways to improve and narrowly target all marketing material. Confused whether content and social media sharing is going to work or is working. It all starts with knowing your client and understanding the value you provide for them. And it’s not about years of experience, customer service, product quality, or anything else internal. If you read some of your testimonials, it might key you into some aspects that your clients love about what you deliver. Write a Purpose-Driven Statement that you will keep internal. If the company has a purpose-driven statement written down, it can drive the larger marketing strategy. Next, it has to come across in all marketing communications in its tone and personality. 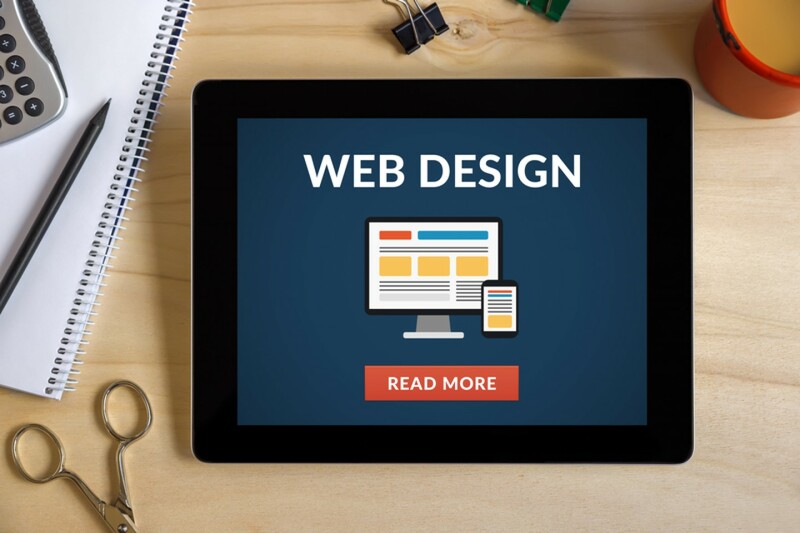 If you say your organisation will be: friendly and fully communicative, then does the website copy and brochure copy sound friendly? Do the account service people ensure full communication once a person comes on board? What could your purpose-driven statement be? Ensure you write it out once in full (4-5 sentences) then in one sentence, and simpler still, again in a short phrase. Are you Selling them Functions, but Missing their Emotional Needs? Which of these needs is most driving your users or clients? When most makers and doers talk about what they do, they focus on form and function. But what the customer wants is usually stemming from an emotional need. Is there some hidden value in your offering that overrides any penny-pinching they might have? Another aspect of Integrated Marketing is research into needs of your clients. There will be various personalities that come to your site or presentations… and although each will have stronger need for say security, or new tech, or more status, a lot of these personas will have common needs. This breaking up of customers into defined groups to allow for targeted marketing is called customer segmentation. This is kind of faceless stuff, like Marketing Mgrs & Directors, companies that have 20-50 employees, etc. It doesn’t get to the reasons for doing business with you. But customer personas allows for a deeper kind of analysis. …. Financial Controllers – who want to have tech that works much better than currently (a focus on detail) – which will help them worry less about accuracy. There are two crossovers here in the drive for better efficiency, but the emotional needs are going to be more important. In a full customer persona though, you will look at roles/responsibilities, pain points, their problems, what options they have for solving the problem, and how it informs their behaviour. This full analysis will drive us to develop a better marketing message that speaks to their emotional needs. Another aspect of integrated marketing strategy is defining the lifetime value of clients. The last time they bought from you, how much? Work out the average value of a sale. How many sales do you get per year? How many years do they stay (on average)? Multiply all these and then deduct the cost of doing a sale (acquisition cost) and direct overhead. This equals: $….. for each client. When you have the Client Lifetime Value, you can analyse various client segments and look at what is profitable. You’ll also know the value you can spend on marketing and understand why retention and loyalty is so important. When you have CRM software that helps this along, such as Salesforce or Zoho, you can get a deeper understanding of CLV and multiple-time clients/buyers. Then surveys (which test loyalty and assess advocates in an easy 1-10 scale) can indicate if your level of delivery is on target and if someone might promote your brand to others. You might not even have a survey… but always have an option at the bottom of client induction forms to promote your service to their friends. This will indicate the percentage of people who feel confident enough to refer you or at least advocate your service. That’s why an online form is way better – it provides easy access to social sharing through share buttons. There are indications about what is most popular in your field that can be gathered from Google searches. This often shows up in Search Console data. This does not mean the searchers are ready to buy – but an experienced marketer can understand what intent people will generally have by their keywords. Are they ready to hire or buy… or are they informing themselves with a longer question or general phrase? So, keyword research is used here to find what part of the ‘customer journey’ they’re in when they come onto your blog or website pages. (Whereas other uses of these keywords come later on). You can also use Google Trends for comparing 2-3 topics of competing trend searches that might be happening in your area. It can help with seeing the seasonal trends as well as what is growing in popularity over the past few years. What Clever Integrated Marketing Strategy will you Form? In the next step, you can plan a content calendar and associated images that meets the trends data, events in the world, and the needs of your defined client personas. Thank you to Lynda.com ‘Building an Integrated Online Marketing Plan’ for the base theories in this article. Please ask us for a free website content review or a personal briefing to better understand how content marketing can target key clients for you. Everyone in marketing is talking about customers, growth hacks, and selling more products. But if you’re a small service business, you have clients and services. Time is limited and that’s all you bill for. Since the majority of blog talk these days is about product selling, you’ve just turned off from it. What about new creative marketing ideas for your service…? Here are some of the best. Marketing can be daunting these days. Do you start with posting images on social media? 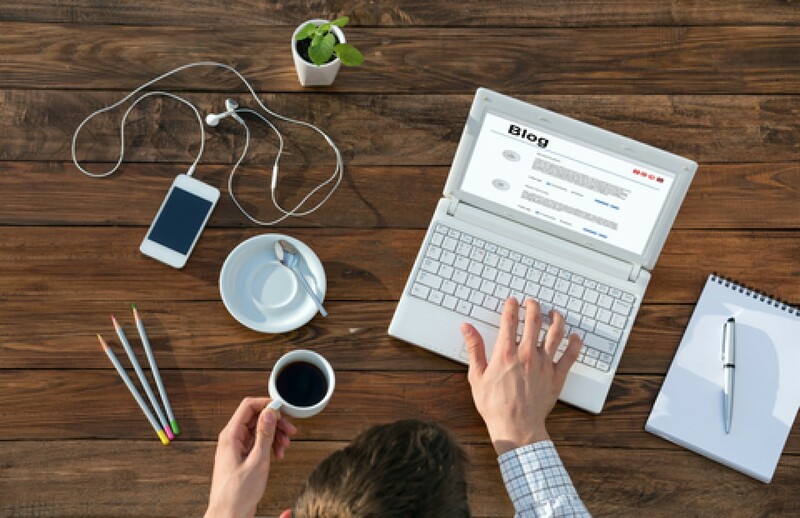 Do you update your blog? Connect with educated people of interest on LinkedIn – and if appropriate, send them your free white paper (or any lead magnet) or event invite to your event. Also click Like on what they share. Run a webinar on popular business issues from a slide show and notes – invite all your connections and Tweet about it 20 times over two weeks. Because webinars can be accessed from anywhere, you might get visitors from all over the world. Also post the final slides onto Slideshare, for higher visibility. Create some audios (MP3s). Just record it to share with your blog readers and get it transcribed and edited (that’s a two step process). 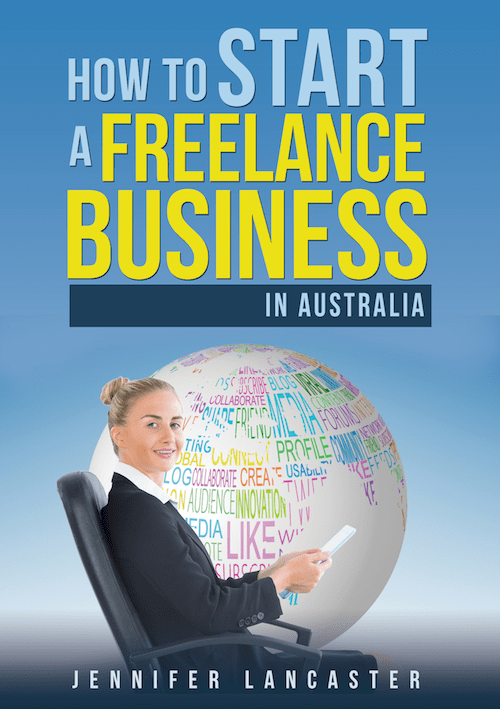 Editors in Australia can be found at the ipEd Directory or see our copy editors. Referrals and word-of-mouth is gold. Remember at the end of all non-urgent business conversations to add “we rely on referrals and reviews to continue being of help”. Everybody likes to help, so it’s not a big ask. While some of these ideas are content marketing, they were all selected because of the resounding success I have heard about from small business entrepreneurs, or experienced myself. Writing a business-focussed book can be a good lead-in strategy as well, but since you have to write it first, it is less accessible. 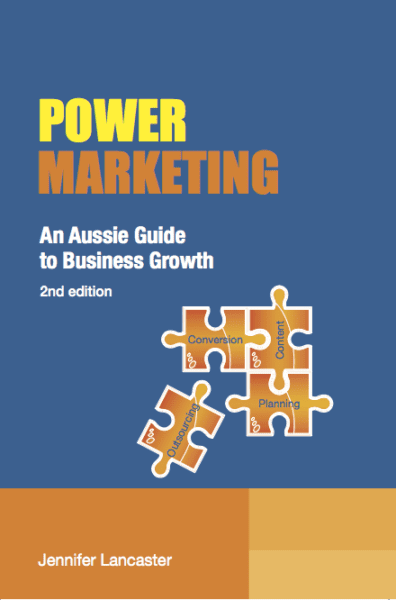 When I wrote ‘Power Marketing’ from some experiences and lessons we had in business, some people asked me if I consulted in marketing. (I didn’t at the time). Podcasting is another area of interest for the professionals. It seems lots of people have started one but those that keep going and market their podcast as well really seem to hit on a leveraged way to attract already warmed-up clients. Their voice is doing the work for them rather than them having that first conversation each time. Ensure that episodes are structured – then pay someone to design Podcast art and deliver it to iTunes and Soundcloud. Speaking or having a stand at local business expos – if your target clientele will be there. If not too high an expense for you, this is a great opportunity to get in front of B2B people willing to grow and network. Those that aren’t wont be there! Remember to collect cards for a prize draw and if consented to on the form, these names can be put into your automated email system. Publishing videos that highlight key problems or give valuable insights to users in that industry. Remember to make it broader than your business. Of course, add a link to your website in the description unless loading straight into Facebook. Building long-term partnerships with other businesses who target the niche market you do. Especially if your time in this business has not been very long, but you have expertise, a partnership with an association, a visible blogger in your industry, or a media group will help you get more traction – while they get some key industry insights and give value to their readers. (More in the clever partnerships article by LittleBlackBook Marketing). Do generous / crazy / amazing stuff and put out a press release each time. The press release should sound ‘real’ and be targeted to the readership of the paper, web portal or station. See ‘the Happiness Ninja’ for a great example of media promotion – see video. 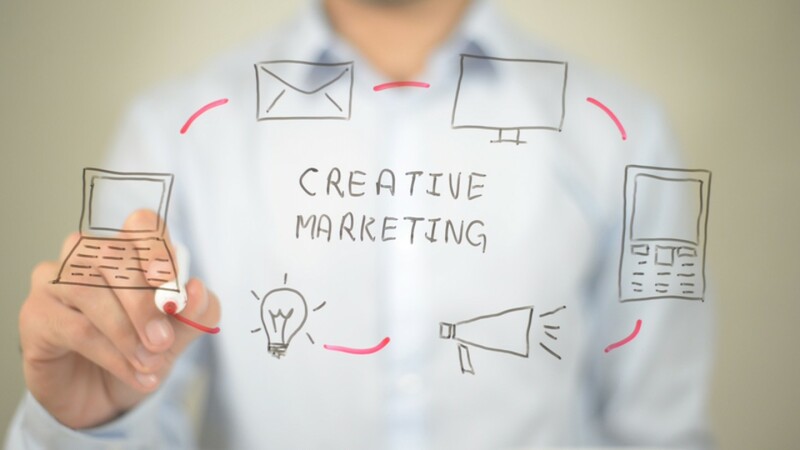 This list of creative marketing ideas is just the start! You can see there are many ways to create a strong brand presence in your own market. Publishing helpful and relevant content… plus building partnerships for leveraging your content… are the main ways suggested to aid brand visibility and get real leads. In this golden age of the personal publisher, introverts must play to their strengths within content marketing. If you’ve ever read the book ‘Quiet: the power of introverts in a world that can’t stop talking’, then you’ll understand exactly what I’m saying. We introverts need to speak up, but in our own quiet way. Are you good at asking questions, but self-conscious about making personal video? Then try Podcasting. Podcasting is the ‘slow burn’ way to attract a fan base. You own the podcast, so you also own the advertising that can be inserted in a short grab inside the show. Keep in mind that shows seem better with two people, so invite multiple guest specialists to talk about a topic within your new genre range. It doesn’t matter if you only just cottoned on to the guru’s mantra, however, you will attract more top people if you really know your niche and can talk about it too. To determine which category your tribe might seek, see Blogtalkradio.com (the talk radio and podcast platform) and iTunes for popular category ideas. If you have a WordPress or Blogger site, then it’s a six-step process to get your RSS feed (linking the files) to connect to Apple iTunes. First, you’ll need to find a place to host your podcasts and apply post tags, categories, etc. Apple Podcasts Connect has a podcasting guide and best practices. You’ll also need a good quality USB microphone (e.g. Nessie Blue), come up with a Podcast logo – which you could make on Canva for free – and plan how often you’ll produce an episode. It’s best to plan ahead a few podcast shows. See ‘Amplify’ author’s podcast show, Bond Appetit, for a runaway success example — Ronsley Vaz is from Australia. I know you won’t believe me, but video promotion is also for you, quiet one. Why? Well, there is no need to be outrageous on video. You can use your creativity, instead of speaking-to-camera-with-terror-in-your-eyes. With Apple Keynote, you can put bullet-point presentations together with narration. It takes time though, so there is a faster way. We use a tool that takes key points of a written blog post and through using a wizard, converts this text into video for marketing purposes. This will make a 1- or 2-minute image-plus-text-and-music video. Limitations are on the free version of these, but with a paid upgrade you can have full flexibility of timing, sound and ‘outros’ (little promos at the end). Perhaps film in your local area in order to tell a story relevant to your target market. Of course, most modern smartphones have very good cameras built-in, but for some shots you might need a tripod and a digital camera. Try not to walk while filming, as this creates a lot of shake. When you’ve perfected your video, it’s time to export it as a .mp4 (at 30 frames per second) and upload it to Youtube or Vimeo and add shorter ones to Facebook. You can boost your video post if you would like more views (that is, paying $7+). For introverts, Facebook Live is a bit scary; it plays on our nervousness of impromptu public speaking. 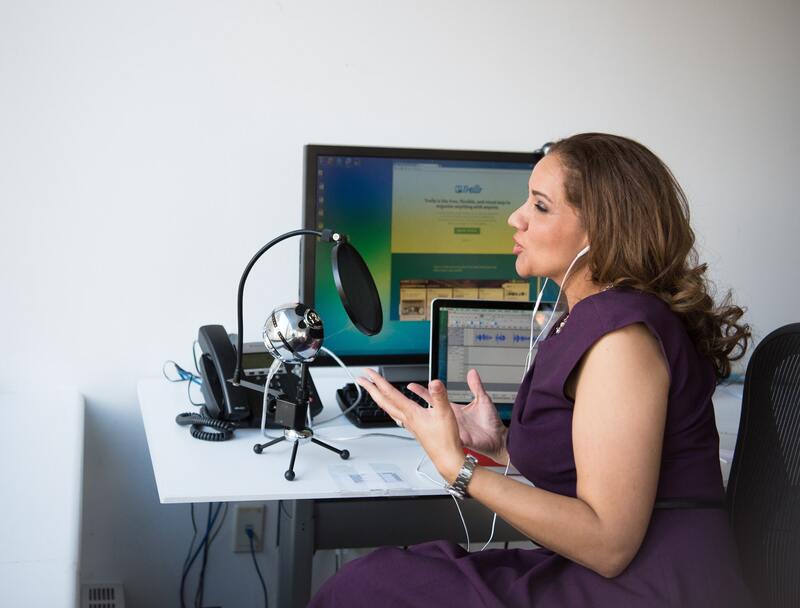 Webinars that use your voiceover presentation are also a good idea because you can rehearse the critical points in your special presentation. You can do live webinars or ‘fake live’ ones with a webinar program called Everwebinar. Don’t you love the modern tools that let you sleep. Still a great way to attract a massive niche audience, blogging is not only for the confident confessor. There are all types of blogs for all kinds of people. One quiet local computer repairer blogged a tip every time he learnt something new, which over the years brought thousands to his website. While my own JenniferLancaster.com.au blog tells of the lessons I learned in publishing, branding, and book marketing, I also write on other diverse topics. So it’s best that these other articles are placed on another blog — because the audience is completely different. And Google search appreciates clarity. What topics will attract your target audience? For a successful strategy, you need to consider what information would attract those you can service or sell to. Are they looking to save money — or time? What language will you use? You might have a technical expertise… but need to write in analogies and everyday terms to help general small business owners understand the topic. A further thing to consider is the concept of bias and social proof. If you can bring in an expert’s opinions, guest reviews or informal client stories, then you will begin to overcome your audience’s critical viewpoint and at the same time, give your blog more credibility. Don’t forget to offer something relevant as a freebie (lead magnet) to invite those folk onto your email list. Over the past six weeks, I’ve been learning different ways to improve business. Not just mine, but every client business that I help as well. I went to the business improvement conference ‘52 Ways’ put on by Business Blueprint. Dale talked a lot about systems and clever online apps, i.e. shortcuts to success. 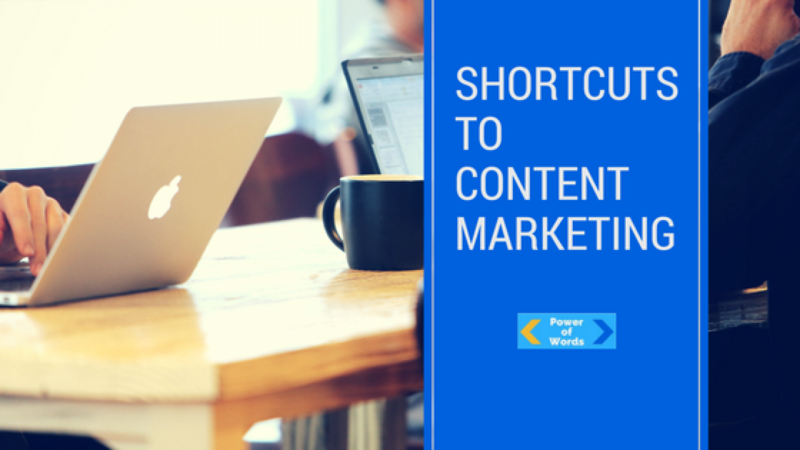 Apps for creating great content are helpful time-savers and shortcuts also keep the cost of content creation down, if we are judicious. Developing or adjusting the content strategy. Documenting their content marketing strategy is also one of the markers of success. If you can’t afford an agency though, where do you go to get promotional images or written content? What shortcuts can you use? Do you know your brand voice? What about story? What persona am I selling to? Why are we even creating the content? Is it to be a leader in the niche? Or is it more defined and your team wants to highlight a new offering in a subtle and persuasive way? It is for all these reasons that an external freelance marketer can help your business soar. Rather than a hefty set-up and monthly agency fee, the freelancer can charge per hour, per project (for campaigns or static pages), or for amped up results, as an equity share (plus expenses). Many stable small businesses have nobody with a background in permission-based marketing. So they go at content marketing with an advertising framework, expecting instant results. Traditional advertising is usually two simple steps: advertise to attract customers, the advert begs them to contact the business or (if a larger business) sets the branding tone. 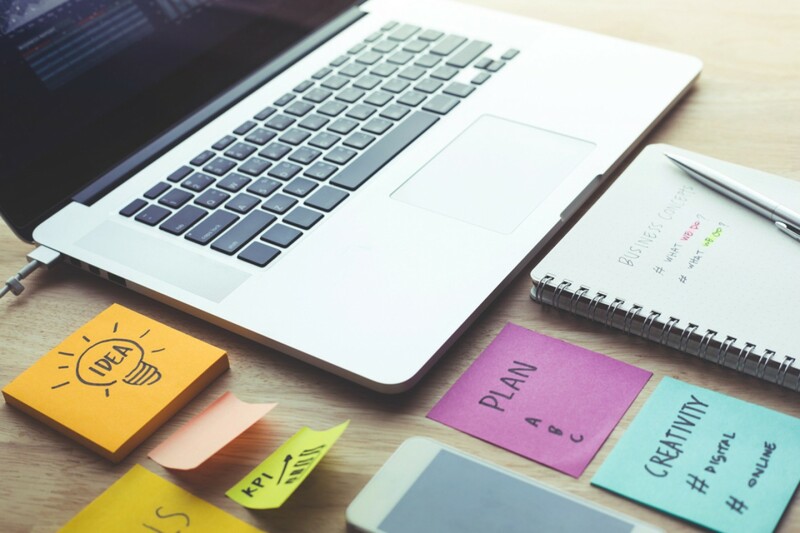 While content marketing and advertising online can go hand-in-hand very successfully, a planned content strategy in a longer-term tool that is best viewed as a four-step process. One: Advertise content (landing page) OR develop content that attracts web visitors. Two: Get permission to give relevant content to wonderful person in exchange for email. Three: Email with informative material (or perhaps call for a free appointment) to wonderful person to convince of your value. So, you can see that there is more to this system – and there are a lot of little online steps to be set up too. At no point do you want pages (thank-you page, download page) and downloadables going up online, with no idea of whether they work. If contracted over a longer period, the Freelance Marketer can build ideas through briefing, Brainstorming and content arcs. (Content arcs are monthly or quarterly themes that you can write about). They can also bring their constant learning and knowledge of better apps to your business – rather than having a staff member struggle through learning a complex and expensive program. So always get the best quality content and use the best person that you can find to do your content marketing. 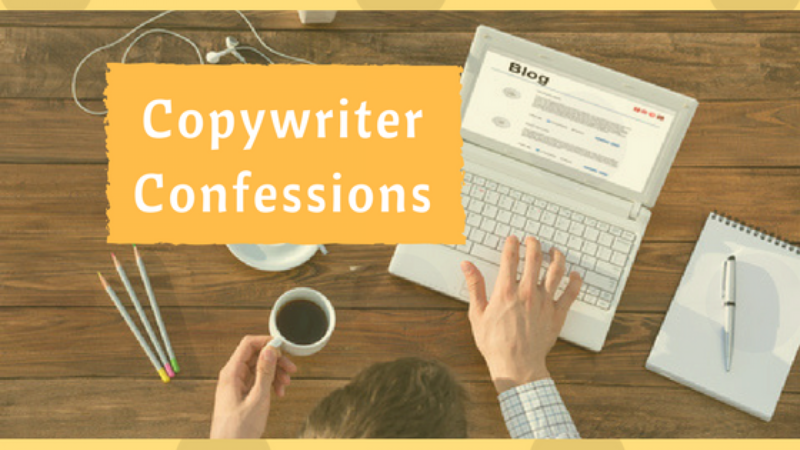 Copywriter confession #1. I confess I have written thousands and thousands of uncaring words: words that persuade; words that strive to create authority, words that lure the reader into a promotion. Then again, I have also written words that stemmed from the heart. These words are on my personal blog. Often I only post once I have learned a particular thing. Other smaller updates on Facebook or LinkedIn are top-of-mind and are intended to help or guide. But I also read other people’s marketing copy. Much of it is familiar. Copywriter confession #2. I confess I was tempted to re-write the formulaic copy of another copywriter many times, but I stopped and re-read the USP (unique selling proposition) until my eyes swam with wavy lines. That USP will become like the main umbrella, off which many valid selling points of each service/product will flow. A strong framework holds an umbrella in a gust of wind. Swathed in keywords, the message is trotted out in urgent, conversational tones, like you the reader are a dear friend. The product a brilliant thing you really must try, but be quick because this offer is only available till the 25th. The coaching service a necessity, due its time-saving, stress-relieving nature… The business-boosting advantage of this service is way more useful than a cup of tea. Features, benefits, advantages: these are the copywriter’s utensils. So go be a web copywriter, write the web afire with your keyword rich, benefit-laden copy. Do not write what ‘comes to mind’. Do not re-write the meaningless jargon that is currently afloat in the marketing flotsam and jetsam. Simple words, short words, easily-understood sentences: this is the only prose we need. We don’t need to ‘sell out’ to sell… just confess your previous writer sins and learn how to write from the heart. Take your background, your paradigm, your life meaning to the art of copywriting. Where types of business writing are as many and varied as fine art: speeches, white papers, case studies, how-to articles, journals, industry news. Give those pieces authentic life and richness. Think of all the narratives, each with their own distinct voice. A compelling, real story and a present tense action and dialogue to tell it — how divine. A powerful message of hope within a memoir. Same with your copy. One time, I wrote about the experience of receiving, opening and using the product as if I was the awaited user. Headlines – make them catchy and to the point. Let’s find the best headline we can, the most intriguing. You already know that snappy book titles sell books, while headlines in web blogs or copy ‘sell’ the content. See these books below to help you learn how to write headlines and copy. Content Writer or Copywriter – What’s the Difference? When people want to get content written for their website, they believe they want a content writer. But starting with the word content is deceptive. Content could be blog news, media releases, free reports/guides, PDF brochures, or it could just mean the main website pages. More than just what the writing is, the difference is focus. A copywriter writes with the sole point of attracting, interesting, stirring a desire and creating action from their words. While the verbiage has to be lively and grammatically OK, it’s more important to be relevant to the reader’s desires than it is to be formal and use superior English grammar. A content writer is looking to fill a brief of writing news, blog posts, supporting content, and usually writes with keywords in mind. They must also proofread their work. While this may be a large assumption, based on my past experience with keywords, employers who know little about sales conversion generally look for a ‘web content writer’. People who are inbound marketers and creatives look for a ‘copywriter’ as this classification was always used in the advertising industry for the past sixty or so years. Focussing now on content marketing for lead generation, we also talk about lead magnets, special reports, bait pieces, lead capture offers, white papers, free ebooks, freebies — basically they are all the same thing. My favourite sources of inspiration for this are: GKIC (Glazer-Kennedy) newsletters and some of the inbound marketing software ebooks, of which I have about 100! LeadPages has a great demo video where they trialled a simple Tools list as an opt-in. Bit of a shame for a writer, because tools lists are short and simple, but for some markets, the ‘sign up’ numbers rule! Some people want a good apps/tools list because they are in a hurry. In other markets, like complex business products, you would offer either a demonstration video/DVD or an easy to understand, nicely laid out white paper. Why not think about what lead magnet piece would work for your business? Many small business managers are wasting fruitless energy pursuing mass marketing tactics — aiming to blanket their local area. In addition to newsletters, there are plenty of other ways to promote yourself and your services to a narrower, more interested audience. 1. Publicity in the local newspaper, if you are new in town, have just joined another partner business, are hosting a seminar, or are in the midst of inventing something. 2. Put on a low cost event that resonates with your target market or a free seminar night at your office. (Or at Redcliffe Hive / event hire space). It’s often worth it to rehearse your presentations among friends or your own networking club first. 3. Ask a supplier or a noted author/blogger to feature your story on their website, if your goals and markets align nicely. 4. For those who write articles, there is a wide range of digital magazines cropping up which you can be a part of. Many of them are women focussed or location focussed, e.g. Samara magazine (women), ROOOAR magazine (women), MyTown magazine (Moreton Bay), etc. Some of them offer quite low cost advertising as well when compared with print. 5. Similarly, there are a growing number of communities which help connect people businesses, such as LocalSmile.com.au, SavvySME.com.au, and FlyingSolo.com.au. You can interact as a community member or choose to upgrade to a premium member. Often networking groups also allow you to post articles on their site if you’re a paid up member. Whichever tool you use to get the word out, make sure you consider your target market and their reader habits. Explaining things at their level of understanding, without being patronising, is a fine art… so don’t slop that paintbrush!